The Seton Hall baseball team took down Rider on Wednesday evening by a score of 9-0. The bats started hot and the pitchers kept the lead, as the Pirates improve to 25-20 on the season. The Pirates are still looking to cement their place in the Big East Tournament and certainly showed that Wednesday evening as they got the bats started quickly, scoring six runs in the top of the first inning. After the first three batters were walked, a single from Matt Fortin drove in two, followed by a triple by Al Molina to score two more. Singles by Mike Alescio and Mike Caputo drove in a run each to give the Pirates six in the inning. The Pirates knocked out Rider starting pitcher Dylan Simcik after recording only one out. Shane McCarthy took the mound for the Pirates and looked comfortable after his team gave him a six run lead before he even stepped on the mound. He made quick work of the Rider hitters, going four innings allowing zero runs and two hits on only 53 pitches to get his third win of the season. The Pirates bats didn’t cool down in the second as they drove in two more runs thanks to a double by Molina and an error by Rider. Pirate third baseman Joe Poduslenko left the game in the second inning due to an injury when he was hit in the wrist area with a throw after successfully stealing second base. The Pirates scored one more run in the third inning as Fortin singled to center field and drove in the Pirates ninth run of the game. The Pirates bullpen took over to start the fifth inning and continued where starter Shane McCarthy left off by making quick work of the Rider hitters. Billy Layne. was the first man out of the bullpen and he threw two scoreless innings for the Pirates without allowing a hit. Layne was followed up by Anthony Pacillo and Zach Schellenger in the seventh and eighth innings, respectively. Both Pirates relievers continued the trend and kept Rider off the board and kept runners off the bases as they allowed only two hits combined over their two innings of work. Matt Ponsiglione was the man called in for the ninth inning and worked a scoreless inning to secure the victory. He allowed two hits in the inning but escaped danger when a line drive was caught at first base by Matt Toke, who tagged first base to complete a double play to end the game. The Pirates were strong on both sides of the ball today as they totaled nine runs on thirteen hits and committed zero errors. The pitching was strong as they allowed zero runs through the nine innings and gave up only six hits and issued zero walks. The Pirates improve to 25-20 on the season and sit fourth in the Big East standings as they look to keep the good play going when they travel to Pennsylvania to take on Villanova in a three game series over the weekend. 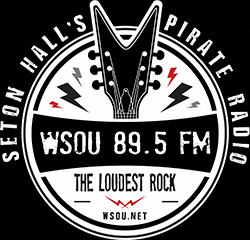 They open the series Friday at 3:00 P.M. and you can listen to the call online at wsou.net.